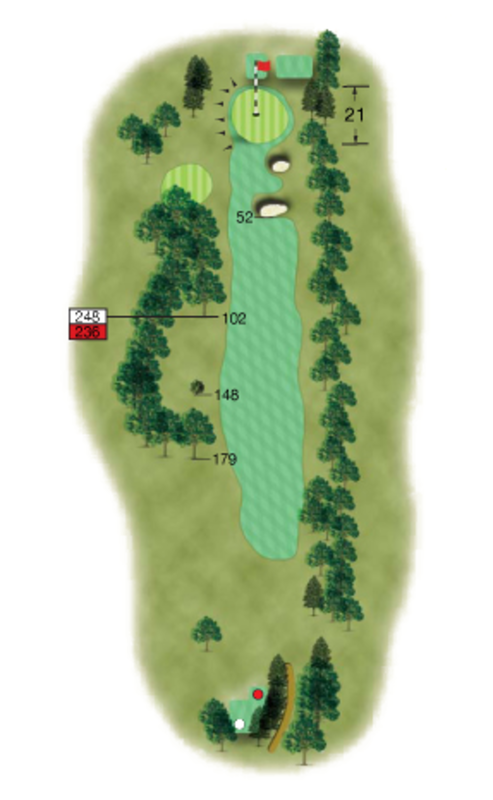 This hole is played through a very narrow channel through tall trees leaving very little room either side. The fairway slopes from right to left making positional play from the tee extremely tricky. Anything too far left leaves you behind trees and in need of a hugely imaginative second shot to hit the green. The approach shot looks inviting, hitting downhill through the trees to a well guarded green. Right half of the fairway is a must from the tee to avoid being blocked out for the 2nd shot.